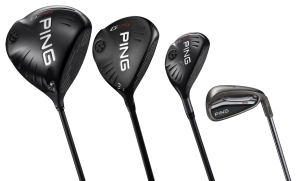 PING Golf’s newest family of clubs, G25 includes an adjustable driver plus fairways, hybrids and irons. All will be available in February. 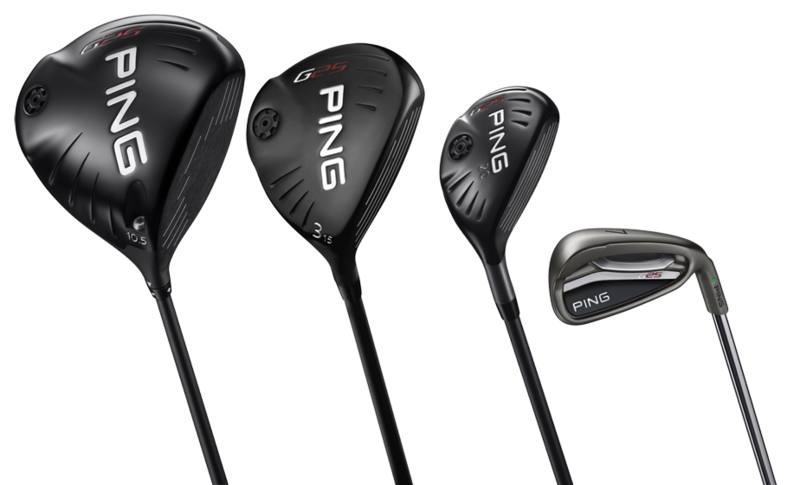 The G25 driver has an adjustable hosel design with what PING calls Trajectory Tuning Technology that uses a wrench to add or subtract one-half degree of loft. The crown is ultra thin and has a deeper profile than their previous drivers and it has a variable thickness face for better distance. Drivers available in 8.5°, 9.5°, 10.5° and 12° lofts with a proprietary graphite shaft, the TFC 189D and carry a SRP of $385. G25 Irons have a Custom Tuning Port in the sole to lower the mass and for a comparatively high launch and forgiveness. Support bars in the back cavity stabilize the face for a solid feel and distance control throughout the set. G25s will be available in 3-9, PW, UW, SW, LW and with steel shafts SRP is $97.50 each or $125 in graphite. The G25 fairways have a variable-thickness face PING says “creates an efficient energy transfer, producing faster ball speeds for greater distance” and the thinnest of any PING fairway wood. Fairways will be available in the 3 (15º), 4 (16.5º), 5 (18º), and 7-woods (21º) with graphite shafts for SRP of $255. Hybrids in the G25 lineup are design with a progressive CG positions help to achieve proper trajectories and ensure functional distance gaps between clubs. The CG position is lower and farther back in the lower-lofted hybrids and progresses slightly forward in the higher lofts. G25 hybrids will be available in five lofts: 17º, 20º, 23º, 27º, 31º with a graphite shaft for $220.